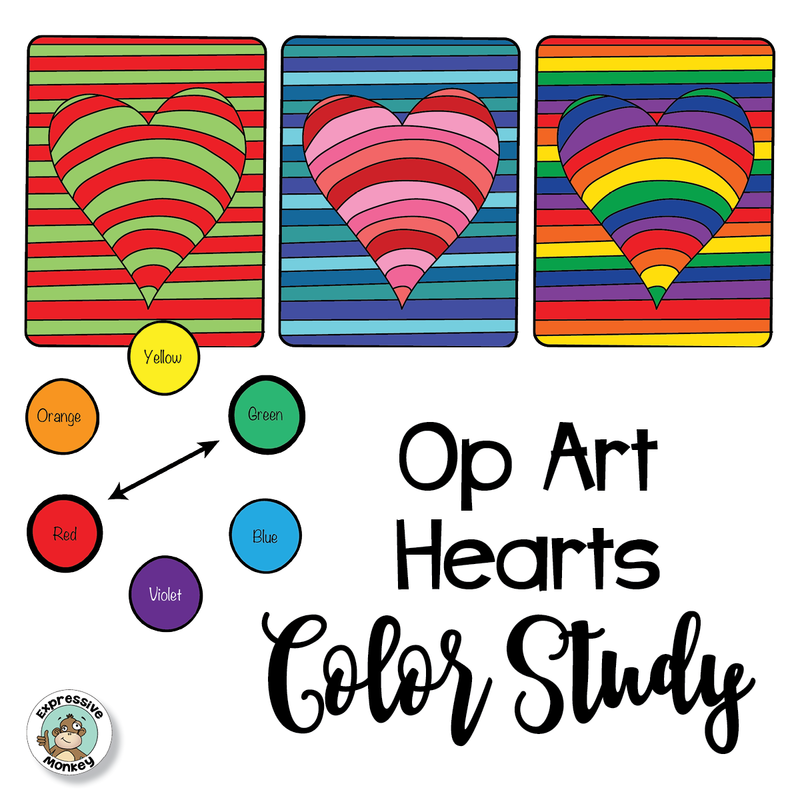 Recently, somebody asked how many different colors students should use when making the Op Art Hearts, found in one of Expressive Monkey's Op Art lesson sets. 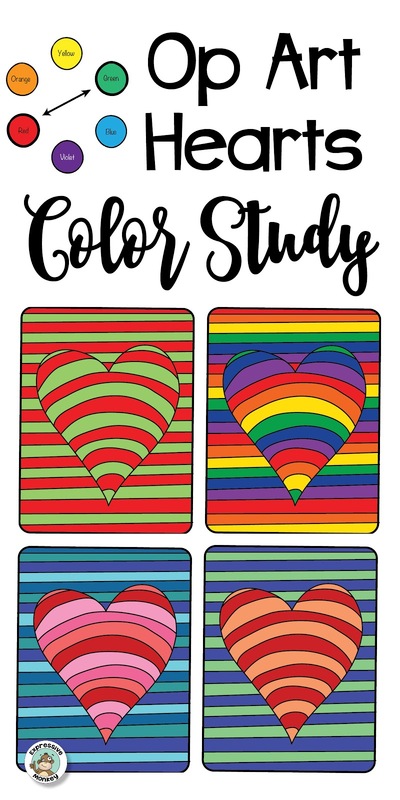 This made me think of all the different color lessons that could be incorporated into this easy Op Art lesson. So here are a few samples of what I mean. 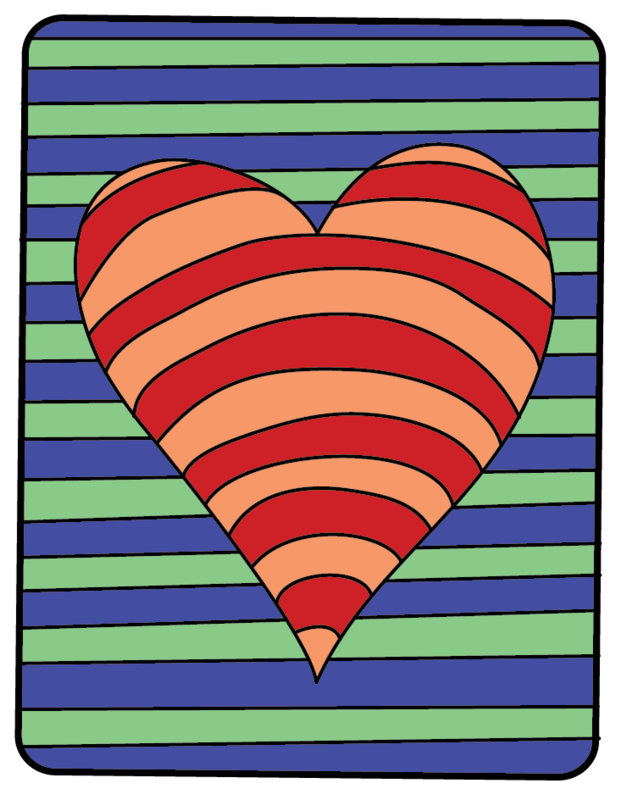 After learning about contrasting colors or color complements, students could pick color complements for their Op Art Heart. I like to encourage students to make one of the colors light and the other dark to create even more contrast. In this example, the both the background and the heart have a pattern of monochromatic colors. This would be a great way to practice a monochromatic color scheme. 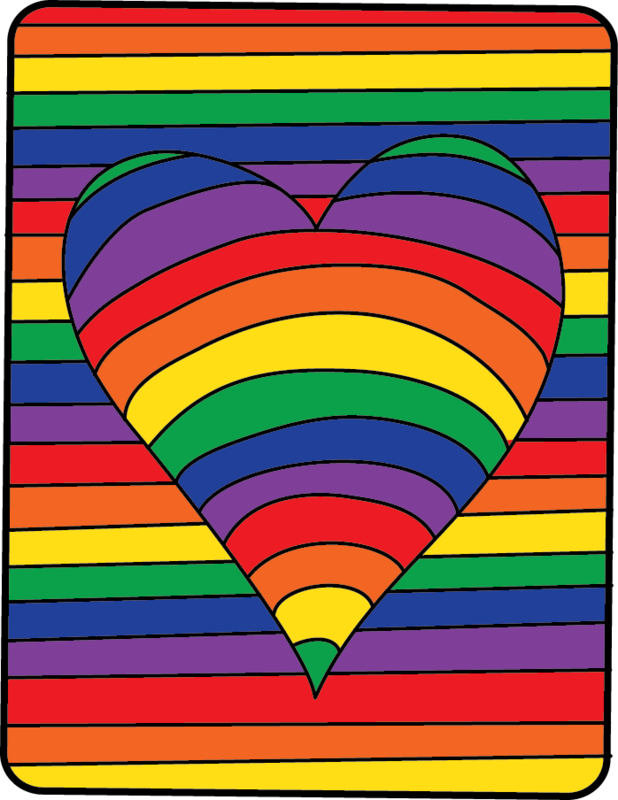 After learning about warm and cool colors, ask students to use a pattern of warm colors on the heart and cool colors in the background. You can also use this opportunity to point out that warm color makes things appear to be closer, and cool colors make areas appear to recede. Of course, you can always just let students pick what kind of colors they want to use. When I did this, one popular approach is using the colors of the rainbow or a color spectrum. If you are teaching students about the color spectrum, then this could be part of the criteria for the lesson. 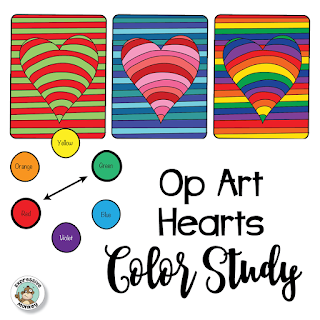 So, as you can see, this simple Op Art Heart (or hand) lesson can be used to teach many different color theory lessons. I hope you have fun incorporating some of these ideas into your lessons. If you are interested in more information about this lesson here is a link to the lesson in Expressive Monkey's TpT store. 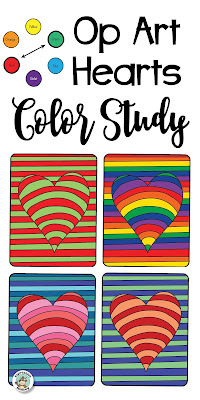 The Contrasting Colors lesson is included in many of the Op Art lessons (and bundle), or it can be purchased separately. You can take a look at all of Expressive Monkey's Op Art Lessons here. Copyright Expressive Monkey 2014. Powered by Blogger. 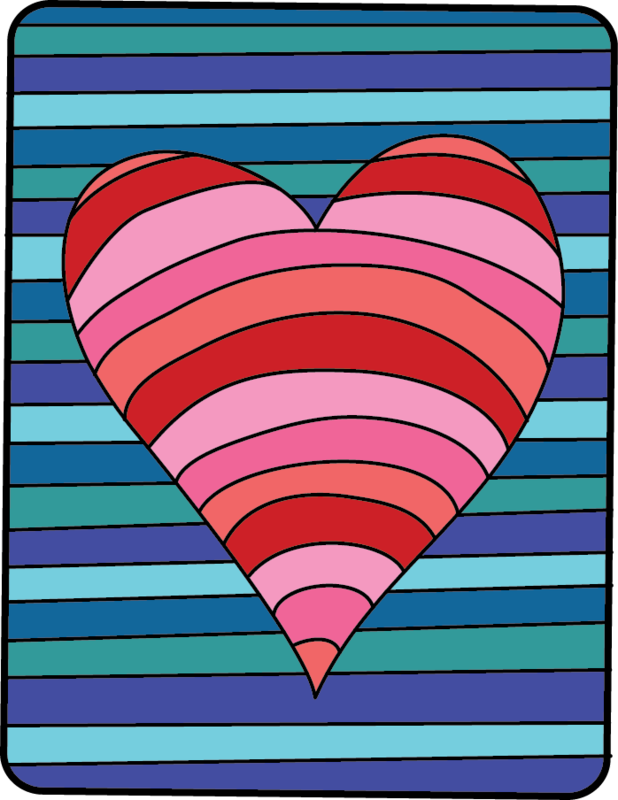 Op Art Hearts is the perfect art lesson Valentine's Day! See the art techniques that make these hearts really pop!